And all nations under our feet. I am writing this the day after the Canadian election. I read the passage yesterday when Canada was still busy voting and no one knew what the outcome would be. Frenetic polling in the last week had showed a change was in the wind. Canada's left-wing party (the NDP) was rising with each poll. Some pundits even predicted an NDP minority government (this after three years of a Conservative-led minority). As I read Psalm 47 yesterday with that possibility in mind (one I personally would not choose) it felt like a prayer of faith. Could I be happy and say with sincerity, "God, You are awesome. You have chosen our inheritance for us," even if the outcome wasn't what I wanted? "God reigns over the nations," declares verse 8. Could I believe He still reigned over Canada if the electorate chose a government that implemented policies I personally couldn't support? Yesterday the results in Canada (a majority Conservative government) were a "yes" to my prayers. But even if that hadn't been the result, Psalm 47 would still be true. God is awesome no matter who rules over us. He is still king over all the earth. He will still be the chooser of our inheritance. He is way bigger than any election outcome - disappointing or joyful. 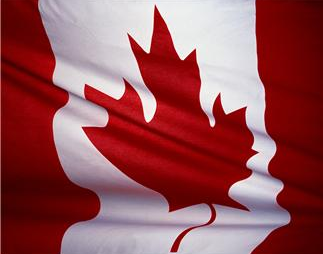 PRAYER: Dear God, thank You for my country Canada and a democracy with peaceful elections. Lord, I pray that You will reign over Canada. Give our one-month-ago re-elected Prime Minister and all the members of parliament your thoughts about Canada's governance. Amen. and gives it to whom he will." 1. It does not mean that you should not vote. God will govern the election by governing the voters. "He does according to his will in the hosts of heaven AND among the inhabitants of [the U.S.A.]" (v. 35). 2. It does not mean that God will approve all the policies of the man who wins. Sovereign rule over sinful men is no endorsement of their deeds. 1. It means that the winner should not boast like Nebuchadnezzar and say, "By my power and my wisdom I have won this presidency." But he should be humbled under the mighty hand of God . . . "who rules the kingdom of men and gives it to whom he will." 2. It means that you should take heart and be encouraged by the sovereignty of God in this election. If your candidate is elected, or if he is not, God reigns!